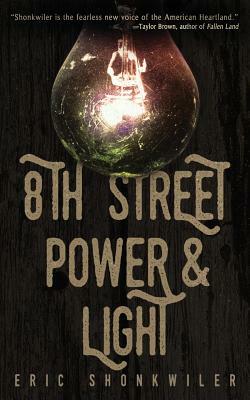 In an abandoned Midwestern city, there's one last vestige of order and days gone by: 8th Street Power & Light. Part government, gang, and power company, 8th Street tasks Samuel Parrish with keeping the city clear of meth and bootleg liquor. Most nights, Samuel tracks down criminals, while others find him navigating hazier avenues: in between drinking and fighting, he's falling for his best friend's girl. But when Samuel rousts a well-connected dealer, he uncovers a secret that threatens to put the city back in the dark.